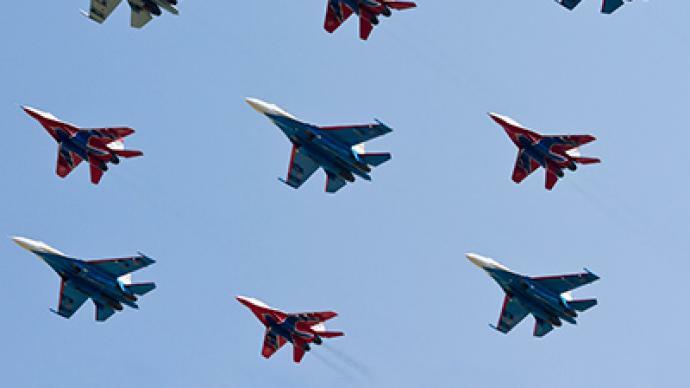 The biennial MAKS air show has taken off on Tuesday, showcasing cutting-edge aviation technology alongside breathtaking aerobatic stunts as the world of aviation takes to the runway. 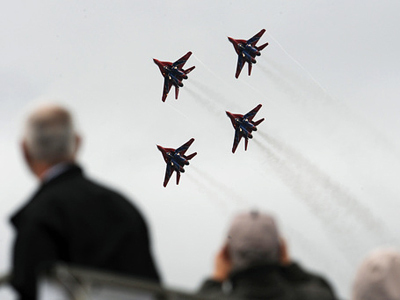 ­Today is one of the last chances for two of the most famous aerobatic teams in the world – the Russian Knights and the Swifts – to practice their new routines ahead of their performance at the MAKS air show. The atmosphere at their base at the Kubinka Air Force airfield is tense – even in rehearsal, there is no margin for error. From the ground, the super-fast jets look to be in perfect sync, but as the pilots touch down, tempers run high. But these pilots do not think of themselves as entertainers. They are serving officers, part of a flying elite, hand-picked from the ranks of the Russian Air Force. These days, dogfights are not as big a part of air combat as they once were. As technology develops, top gun-style maneuvers are being abandoned in favor of long-range missiles and advanced radar. But these demonstrations of piloting prowess are not destined to become a sideshow, believes Col. Valeriy Morozov, lead pilot of The Swifts. “I don't think so at all. In a real war all of our electronics could often be jammed, so we would go back to who sees whom, and how they can respond to this situation. Our skills will never become obsolete,” the colonel explains. Through hours of practice, they hone skills that only a handful of the world’s pilots are able to perfect, and keep the art of stunt flying alive.